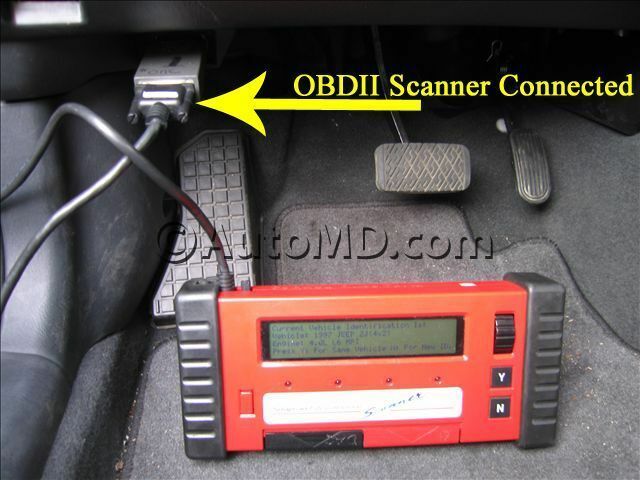 Locate the OBD-I or OBD-II data link connector (DLC). Refer to your vehicle owner's manual for the specific location. Turn your key to the ON position. Do not start the engine. Plug your scan tool into the DLC and follow the manufacturer's steps to read the diagnostic trouble code. Codes between P0400-P0408 are generic trouble codes for the EGR system. To test the EGR valve: Remove the vacuum line to the valve and install a manual vacuum pump. Start the engine and apply vacuum to the valve. If the engine idle speed drops, the EGR valve is working. If the engine idle speed does not change, the EGR system is not working. Most engines will stall if you fully open the EGR valve while idling. 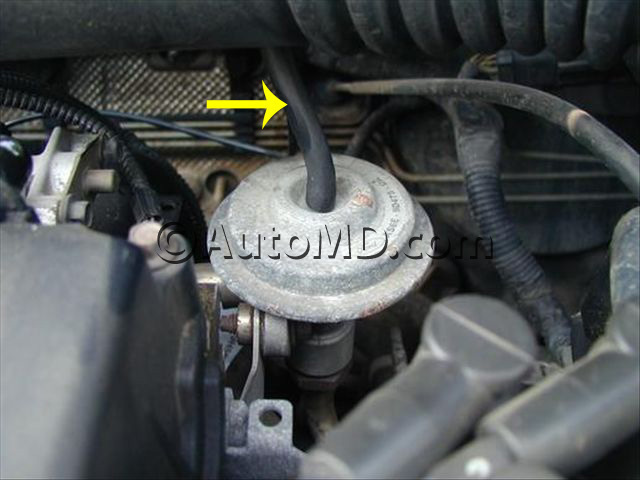 Remove the vacuum line or electrical connector from the EGR valve. Remove the EGR mounting bolts. Remove the EGR valve. Using a new gasket, attach the new EGR valve with the original mounting bolts. Torque the bolts to the manufacturer's specifications. Reconnect the vacuum line or electrical connector. Erase any codes on the scan tool through the delete or erase command. Remove the scan tool. Road test your vehicle to verify the repair.